05/19/2017- Thanks to the wonderful audio.js, I now have a template for my mixes that actually works with HTML5. That means that 52Tapes should now work with smartphones, other portable devices, and any newer computers that don't have Flash enabled. I've finished converting all the tapes, so the whole site should now work. Enjoy! Hi there, my name is Jim. In 2010 I decided to make one mix a week for the next year and post them here. It turns out once I got to 2011, I wasn't ready to stop. Since no one was really stopping me (except my poor URL choice), I kept on going for another year. I'm done now, though. Probably. 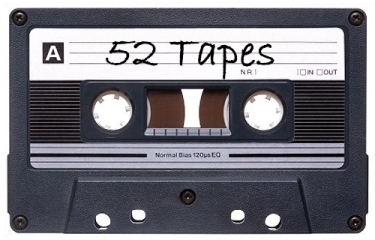 If you'd like to get in touch with me, send me an email at jim@52tapes.com. Mouse over the the icon for more information on a mix. I hope you enjoy them! 08/01/10 - Week 30 - Does Nobody Understand? 09/26/10 - Week 38 - Why Are We Here? 11/21/10 - Week 46 - Come Again? 07/24/11 - Week 81 - The 90s, Amirite? 01/01/12 - Week 104 - I'm Finished. 07/28/17 - Are You a Mod or a Rocker? 01/20/18- Am I Out of Touch?